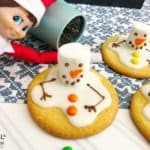 Elf on the Shelf Ideas | Melted Snowman Cookies - Oops! 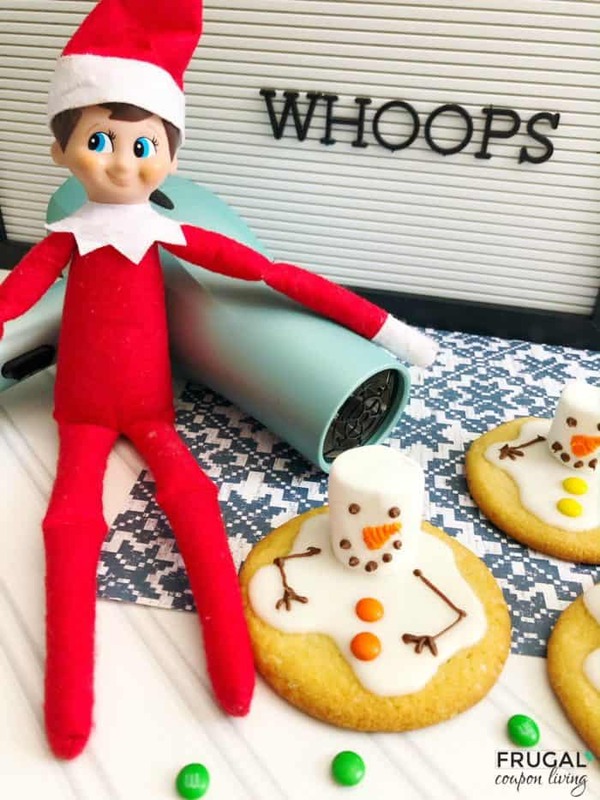 Elf on the Shelf Ideas | Melted Snowman Cookies – Oops! 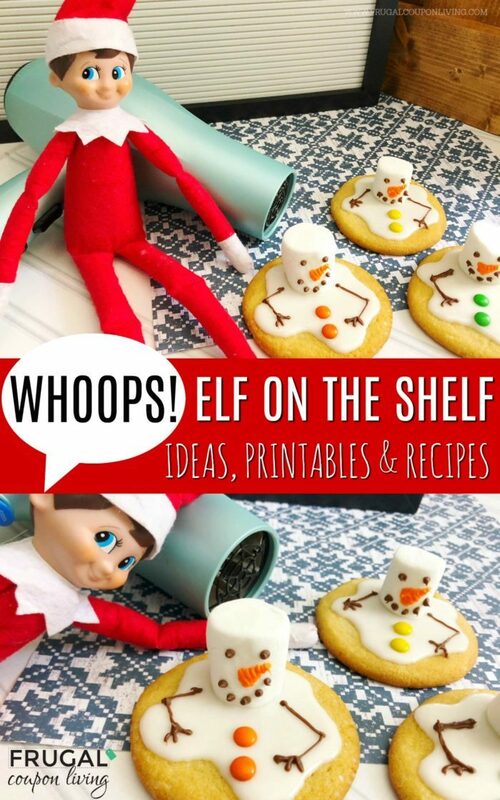 Elf on the Shelf had a Whoops! Make these Melted Snowman Cookies as a funny elf idea for your Christmas tradition. These cookies are great for Santa too! 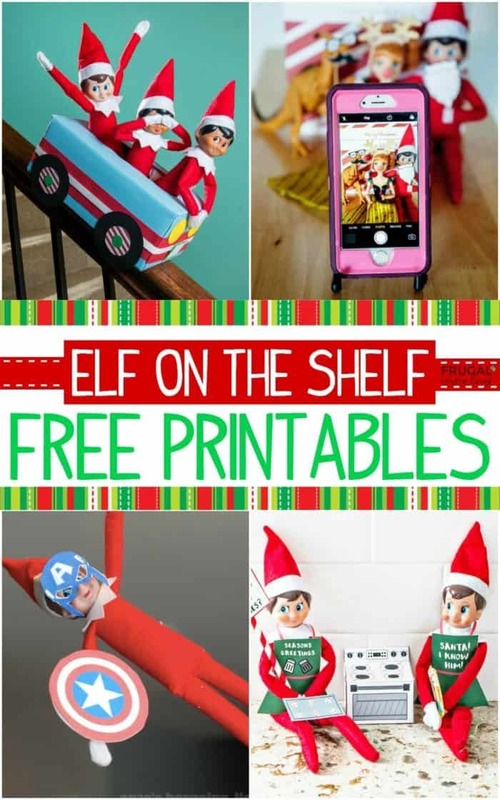 We love bringing you new Elf on the Shelf Ideas. We also love sharing Christmas Food Crafts! That being said, we had to combine our two holiday loves into one – Elf on the Shelf Melted Snowman Cookies! We wanted to make these cookies simple. We used refrigerated sugar cookie dough for our base. This is something to make with your kids, maybe cookies you use for Santa, or make them alone while the kids are in school. We made them alone since our kids still believe in Elf and then hid them that day. In the evening we took them out with a hair dryer as if Elf had melted the cookies. We used a Felt Letter Board to write the phrase – Whoops! 1. Preheat your oven to 350 degrees and line a baking sheet with parchment paper. 2. Form the cookie dough into ping pong sized balls, press partially down and place on the baking sheet. 3. Bake for 10-12 minutes or until the edges are golden brown. Combine your powdered sugar, milk, corn syrup and almond extract until creamy. 5. Pour your frosting in a decorating bag and cut a small tip off the end. 6. Use the decorating bag to draw a wavy circle on the cookie and fill in with frosting. 7. In a microwave safe bowl, heat the light cocoa candy melts on 50% power for 2 to 3 minutes, stirring every 30 seconds until melted and poured into a decorating bag. 8. Mix together 1 cup of vanilla frosting with orange food coloring and scoop into a decorating bag. 9. Use the brown and orange decorating bags to draw a face on the marshmallow. 10. Place the marshmallow onto the cookie towards the back of the cookie. 11. Place two M&M’s onto the cookie in front of the marshmallow. 12. Use the brown decorating bag to draw stick arms on each side of the marshmallow. 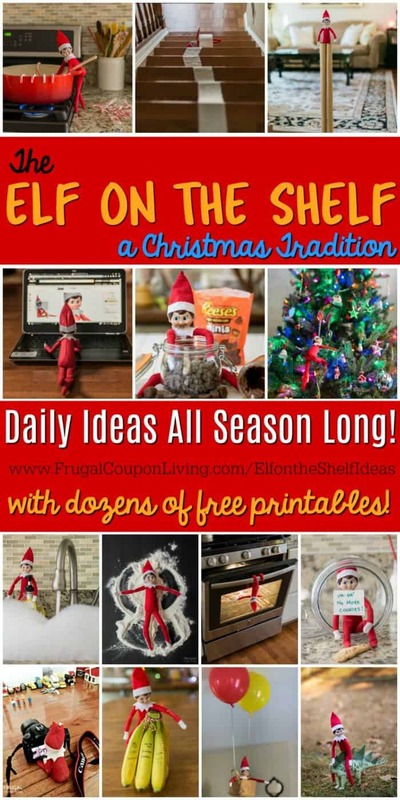 These cookies are fun to make with the kids, but it might be a good idea to make them while they are at school and hide them so that you can make this cute little Elf on the Shelf vignette. You will want to form the cookie dough into ping pong sized balls, press partially down and place on the baking sheet. Bake the cookies for 10-12 minutes or until the edges are golden brown. When your cookies are out of the oven, let them cool and mix together your frosting. To make your frosting, combine your powdered sugar, milk, corn syrup and almond extract until creamy. Pour your frosting in a decorating bag and cut a small tip off the end. Use the decorating bag to draw a wavy circle on the cookie and fill in with frosting. In a microwave safe bowl, heat the light cocoa candy melts on 50% power for 2 to 3 minutes, stirring every 30 seconds until melted and poured into a decorating bag. Also mix together 1 cup of vanilla frosting with orange food coloring and scoop into a decorating bag. Use the brown and orange decorating bags to draw a face on the marshmallow. 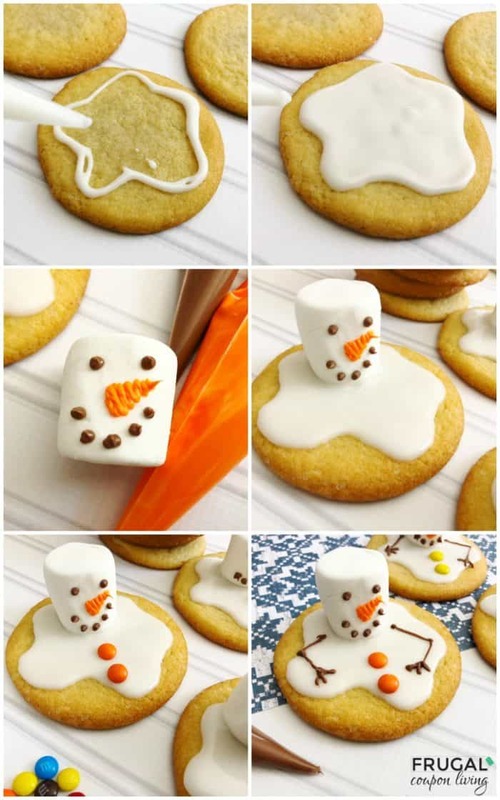 For the snowman head, place the marshmallow onto the cookie towards the back of the cookie. You will want buttons! 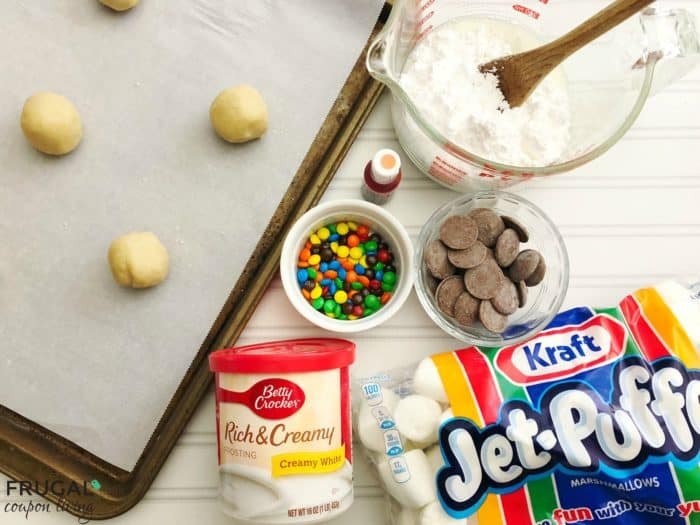 Place two M&M’s onto the cookie in front of the marshmallow. Use the brown decorating bag to draw stick arms on each side of the marshmallow. 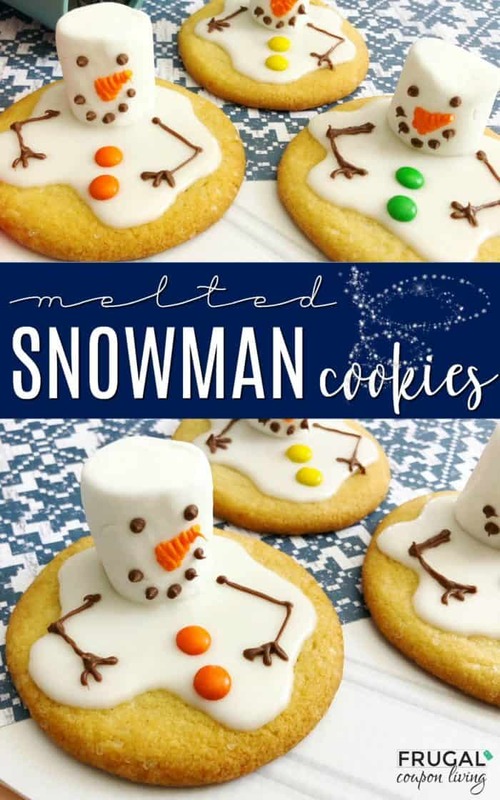 Enjoy your Melted Snowman Cookies!